Smart metering giant Itron announced Monday that it will acquire demand response provider Comverge for about $100 million. It’s a move that puts Itron into a totally new business. The company is betting that networking smarts can revitalize Comverge -- a somewhat battered contender in the U.S. demand response industry. Itron signed a definitive agreement to acquire Comverge through the purchase of its parent company, Peak Holding Corp., which is the latest in a long string of owners. Comverge was one of two big companies to IPO early last decade (EnerNOC being the other) as the automated demand response market soared. Constellation, which joined competitors like NRG Energy in buying up demand response providers in the early part of this decade, was then hit by a Supreme Court challenge to the existence of capacity programs that make up a majority of the demand response market. For more than a year, uncertainty reigned in the industry, and growth ground to a halt. Despite the Supreme Court's January 2016 decision upholding the role that capacity markets play for the industry, we've seen a slow recovery and relatively low prices over the past year and a half, using publicly traded EnerNOC's figures as a stand-in for the industry as a whole. Comverge has been growing despite the industry’s challenges, Itron CEO Philip Mezey said in a Monday conference call. 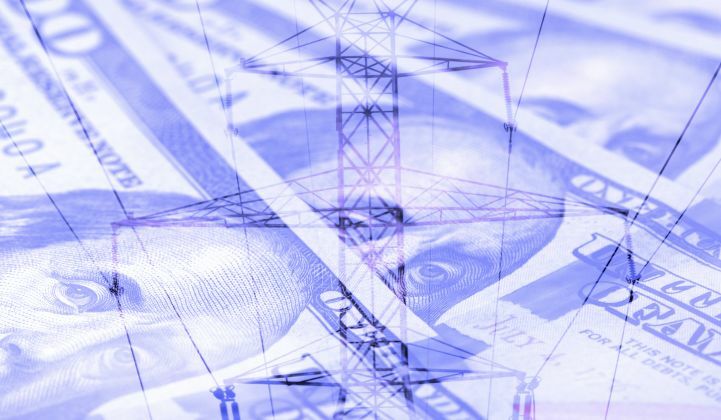 Comverge has focused exclusively on utilities to simplify its business, mostly via residential programs, and has sold the business that played in grid operator markets. That move aligns with Itron’s existing customer base in the metering market. It has also continued to develop its software business, giving Itron more analytical tools as part of its software suite. GTM Research analyst Daniel Munoz-Alvarez added that Comverge is working as the sole DR technology provider for New York utility Central Hudson's Non-Wires Alternative (NWA) demonstration project. "Comverge became the first vendor to participate in the deployment of a DER solution for T&D deferral that got regulatory approval to earn performance-based revenues based on a share-of-savings incentive mechanism," he said. In other words, it's the first demand response to stand in replacement for transformers, wires and substation upgrades under New York's proposed overhaul of utility regulations known as REV. But the main reason for combining the two companies, Mezey said, is to give Itron a venue for its OpenWay Riva platform -- its IPv6, multi-communications grid edge networking technology stack -- to transform the demand response business. “We change the game when we combine demand response and energy efficiency with the edge applications. OpenWay Riva delivers demand response applications on the edge of the network, not just in the back office," he said on the conference call. Over the past few years, Itron has taken a leading role in adding edge processing power and data analytics to its smart meters, sensors, and other grid gear, as well as in expanding via wireless networks to devices inside homes and businesses. This real-time network connectivity and control capability is expected to add significant new opportunities to Comverge’s line of largely residential demand response offerings, including the ability to touch solar inverters, behind-the-meter battery controllers, or electric vehicle chargers. “It’s moved from demand response into energy efficiency, and more into the world of distributed energy,” said Mezey. “Comverge really accelerates our software platform in terms of being able to register these devices, organize them into programs, and providing a customer-facing portal for utilities at the program level," he said. Itron and Comverge have worked together since 2009 on various projects, giving the companies familiarity with each other’s technologies. The full OpenWay Riva integration into Comverge’s business will be complete in early 2018, said Mezey. Itron has traditionally made money selling units of hardware, but it is increasingly seeking recurring revenues through software and services (as are all its competitors). The Comverge acquisition “displays our focus on delivering more value for customers, by providing outward facing technologies and solutions,” said Mezey. Rob Farrow, Itron VP of strategic planning and acting CFO, said the deal will draw upon Itron’s available cash, plus a revolving credit facility, and will close in the second quarter. The financial impacts will be revealed in that quarter’s earnings call, although the deal is expected to be neutral to its 2017 non-GAAP earnings and add to them in 2018, he said.